This 6" x 8" Paper Pad contains twenty-four (24) Sheets of double sided paper including eight (8) Designer Prints. Look for coordinating Brads, Page Flags, Stickers, Decorative Clips, 12x12 Designer Papers and Blank Journal Books. 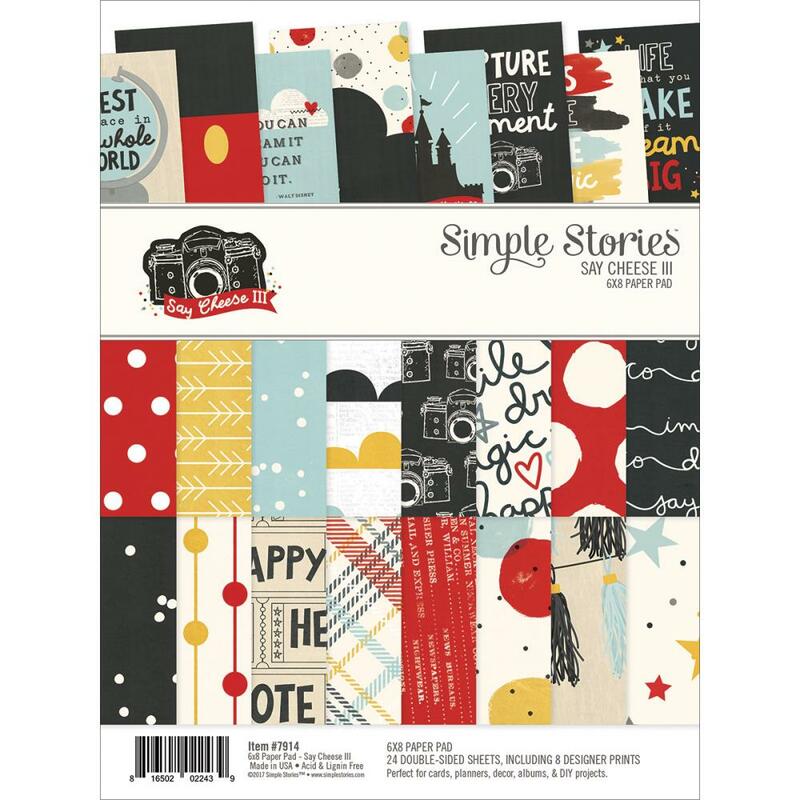 Part of the Say Cheese III Collection by Simple Stories.